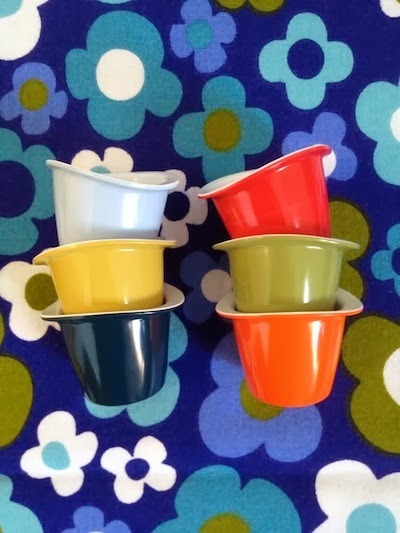 "Gorgeous set of Melaware eggcups from @jayne__walker at Sunday's @Vintage_Village - thank you, Jayne x"
"RetroFunky had a lovely day today as well. Nice to see lots of new faces visiting the fair for the first time. One of my customers described herself as a 'Vintage Village Virgin' !!! 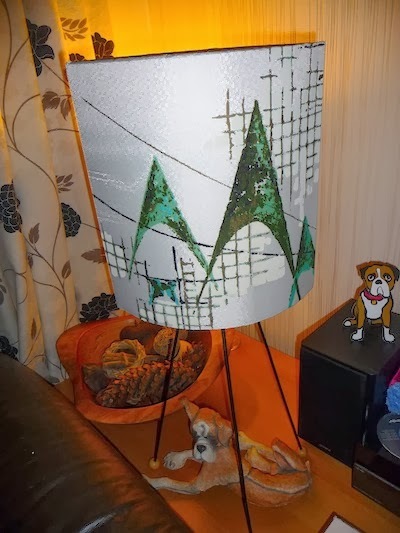 A great big thank to Alison at Snygg for recovering my 1960's tripod wire lamp stand - now to decorate the living room with an Atomic theme." 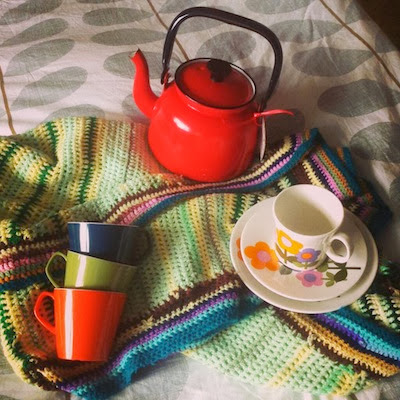 "Lovely time had at @Vintage_Village with local celebrity @OoohBettyLoves"
[Editor's note: trio from Lace and Liquor Vintage, melamine cups from Jayne Walker, knitted blanket from Kitsch Republic]. 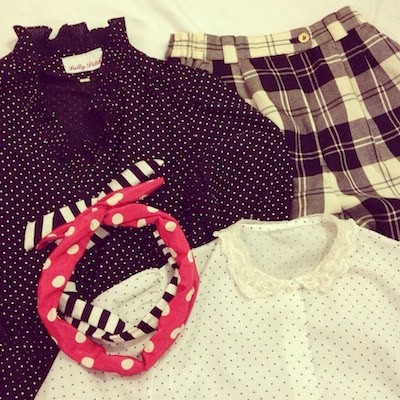 "Spots, stripes, checks and some pretty collars. My haul from @Vintage_Village today." A great shot of the fair - stallie's eye view! - by @bathingbeauty1. "@Vintage_Village not sure if All Our Yesterdays are on twitter but I love my new vintage jar!" 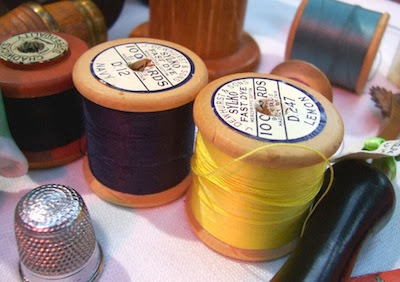 "A vintage day out @Vintage_Village Lots of photos! 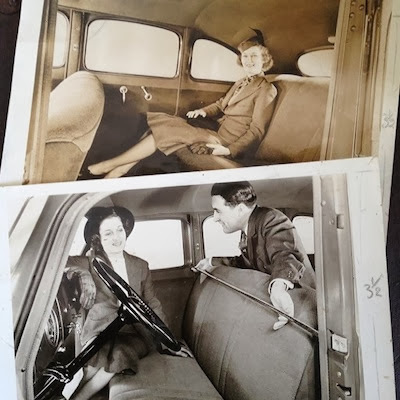 :) http://themagpiesdaughter.blogspot.co.uk/"
"Two 1940s car promotional photos from The Grand Collector at Sunday's vintage_village fair." Carmen Miranda must have been smiling down upon us during our fair to mark her birthday. That's not to say we were blessed with Brazilian weather - far from it - but at least the forecasted lashing rain and gales didn't materialise! There were plenty of visitors taking the opportunity of some top quality vintage browsing, and you can see some of their prize purchases here. 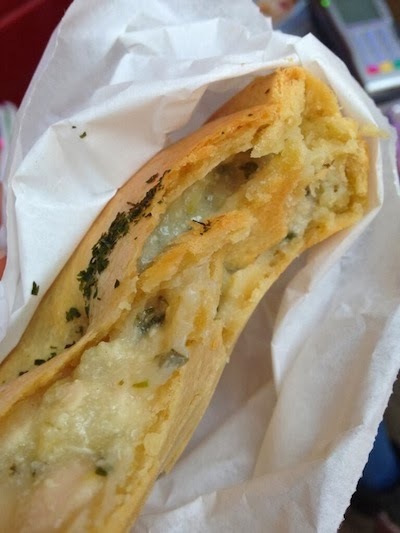 I'd like to add that, yes, a lot of these photos are from traders actually standing at the fair, but that's because traders are often traders' best customers! We all love vintage, that's why we're in this game! Our hearty thanks to everyone who took the trouble to share their marvellous photos online, and if you'd like to contribute some yourself, just tweet your photos @Vintage_Village or post them on our Facebook page. All the photos link back to their original page, and you can click on the Twitter names to meet our very tasteful and discerning contributors. 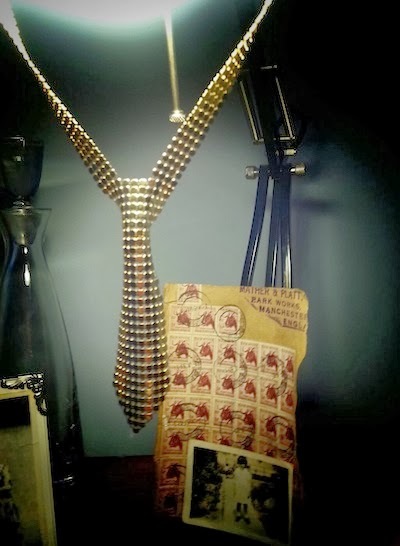 "@Vintage_Village gorgeous tie necklace found and bought at today's fair from @AspidistraVint ♡♥♡"
My haul from Vintage Village at Stockport Market Hall today." [Editor's note: birthday flower from Jodi-Jo Retro, pie from Lord of the Pies, pixie from RetroFunky]. "This captured my imagination as a child, delighted to have found it @PenelopeCatVtg @Vintage_Village"
"Condiment tree of owls (?) from Rita Black's stall @Vintage_Village." "@LordofthePiesGB a tasty mushroom pie and greens for my lunch @Vintage_Village so tasty"
"@Vintage_Village Fabric from Snygg and a great swap with Angela at Kitsch Republic. I was restrained !" "A big hand - gratuitous pun alert! 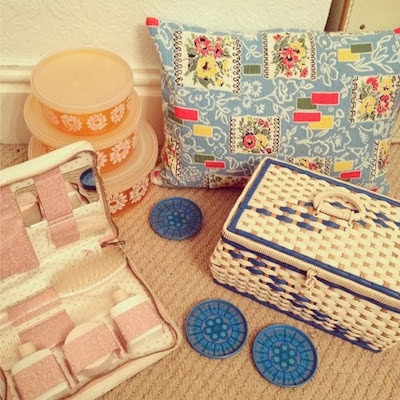 - to @gemsbitsnbobs for these treats from yesterday's vintage_village." 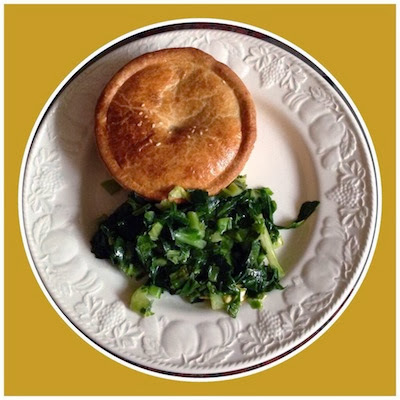 "@LordofthePiesGB loving my lunch @Vintage_Village - delicious!" 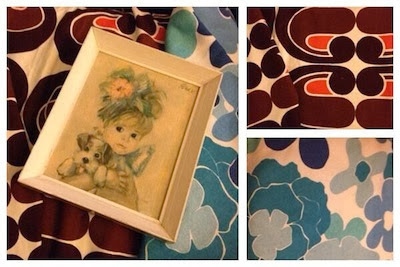 "Tablecloth from Vintage Clutter at Vintage Village at Stockport Market Hall for my first attempt at a craft project."